At Southern Kowhai Exports Limited (SKE) we source fruit and vegetables direct from growers and export it from New Zealand around the World. Our focus is on ‘balance’ – finding the right balance for our customers and our growers. We market produce from New Zealand and, where required, can source product from other growers throughout the world. Our business is all about ‘quality not quantity’; for SKE that not only relates to produce and pricing, but also customer service and relationship management. We specialise in a variety of products – such as apples, tomatoes, blueberries, grapes, potatoes, carrots, onions…lets be honest, we specialise in whatever you need. 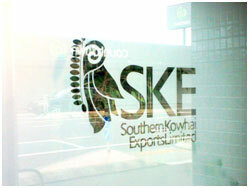 SKE is based in Napier, New Zealand; one of the most prolific horticultural centres in the country. We are a New Zealand owned and operated company. We are proud of the relationships we have built with New Zealand growers, as they offer quality products to our customers. Sharon Kirk has contacts from all cultures and nations – both customers and growers. We ship products to places such as Japan, Germany, Taiwan, the South Pacific, Australia, India and a number of other countries in Asia and Europe. We also represent growers in the local market; again working for the grower just as we do for the customer. We are always open to new opportunities and thrive on developing and maintaining great relationships with our customers and growers. To us, service means doing what we say we'll do and doing it right the first time. If you haven’t already – get in touch with us and start getting better service, quality produce and see why our customers and growers stay with us. "Southern Kowhai Exports Limited strives to use our marketing and exporting experience to give our customers the best fresh food in the industry"